S42 is a postal address framework developed by the Universal Postal Union (UPU). It’s a unified framework for national postal address standards, and is flexible enough to support the most complex of requirements. Who can benefit from S42? Rendition rules, constructs, segments, parts A and B are all concepts carried by the S42 Address Standard. But in its simplest form, S42 can be explained in terms of just elements and templates. Each element is associated with a first and second-level identifier. Templates are written by address experts within a country, and expressed using an XML-based language called PATDL. 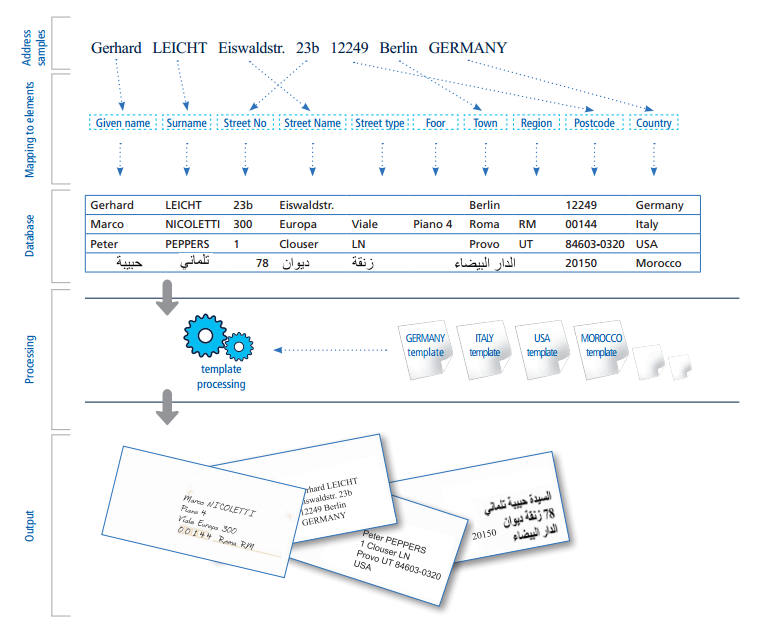 PATDL stands for Postal Address Template Description Language. Where can I find out more about S42? Allies has over a decade of experience in developing S42-capable technology and solutions. With a wealth of knowledge and expertise on the subject, we are well-placed to help you better understand how it can benefit your organisation. To find out more, please get in touch and ask to speak to Dan.